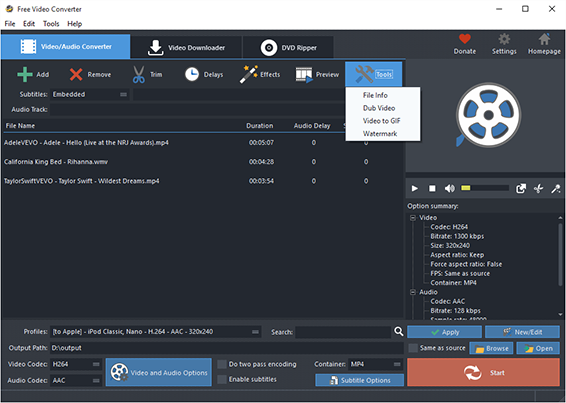 Free Video Converter is a free and popular video file converter and supports over 250+ video formats. 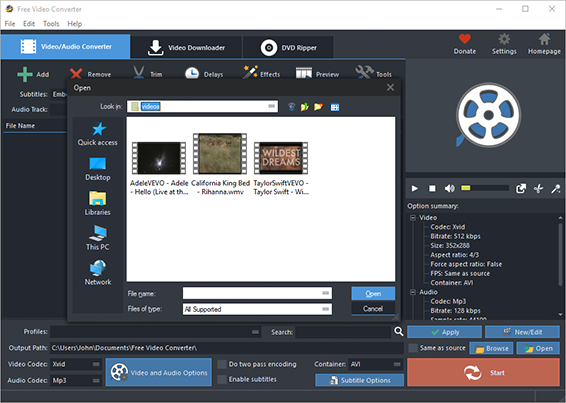 you can input a video file and output it to AVI, MPEG, WMV, FLV, MP3, 3GP, etc. 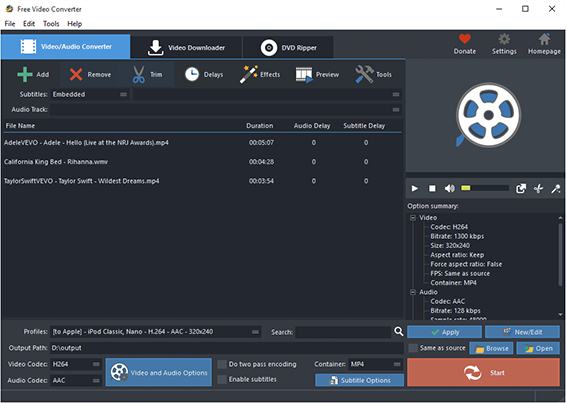 It works stable and converts all the videos you feed it with. In “Profiles” menu, select the device you want to play the video on and you can see the details of the profile you select in the “Option Summary” panel at the right. If you know exactly the format your device supports, you can directly choose the output format in “Container” menu. To edit the parameters of the profiles, click “New/Edit” and change the settings in the “Profile Editor” Window. You are allowed to choose the video and audio codec as well as the encoder to use. To change the codec settings, click “Video and Audio Options” and set the options as you want. Choose output path by “Browse“.